Creamy Vegan Avocado Pasta Recipe. I have been obsessed with avocados for a long time now, whether I put it on toast, make it into guacamole or add it to my smoothies; I’m always a fan. So when I came up with the idea to make this fruit into a creamy pasta sauce, I had to try it out straight away. After a few trials I finally settled on this recipe; it’s super delicious, high is healthy fats and so creamy. You’ll be desperate for your avocados to ripen once you try this out! Cook pasta according to instructions. Drain and let sit. 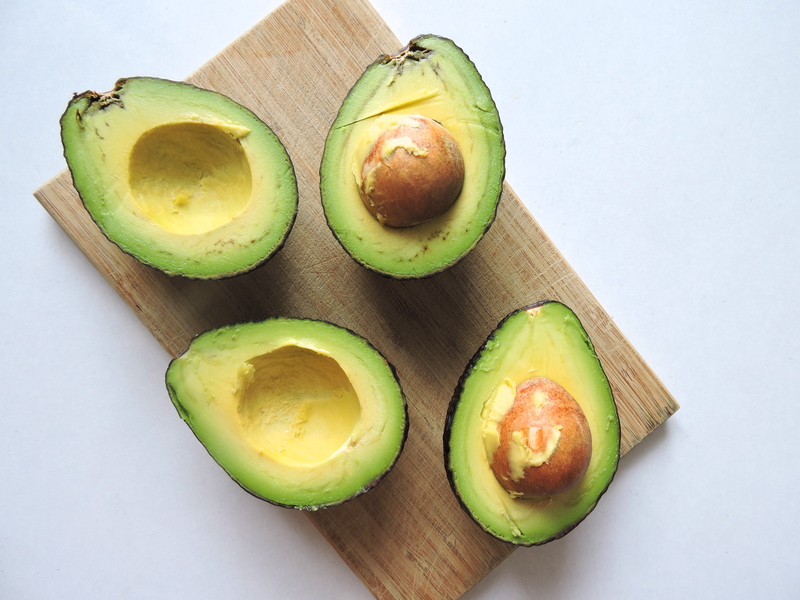 In a bowl, mash your two avocados along with 1 tsp salt, 1 tsp pepper and 1 tsp lemon juice. Mix and mash until smooth. In a pan fry your garlic, onion and spring onion in 2 tbsp olive oil. After a few minutes, add in your frozen chopped spinach. Stir the mixture until the spinach has fully defrosted. Take your pan off the heat and add your pasta. Mix thoroughly. Add in your avocado mixture, doing a little bit at a time to make it easier to combine. Once everything is coated, add in your sundried tomatoes. Add your sundried tomato oil, garlic salt, chili, 1tsp of pepper and 1 tsp of lemon juice to the dish and mix. Put the pan back on the heat and stir for a few minutes till hot. Serve immediately. 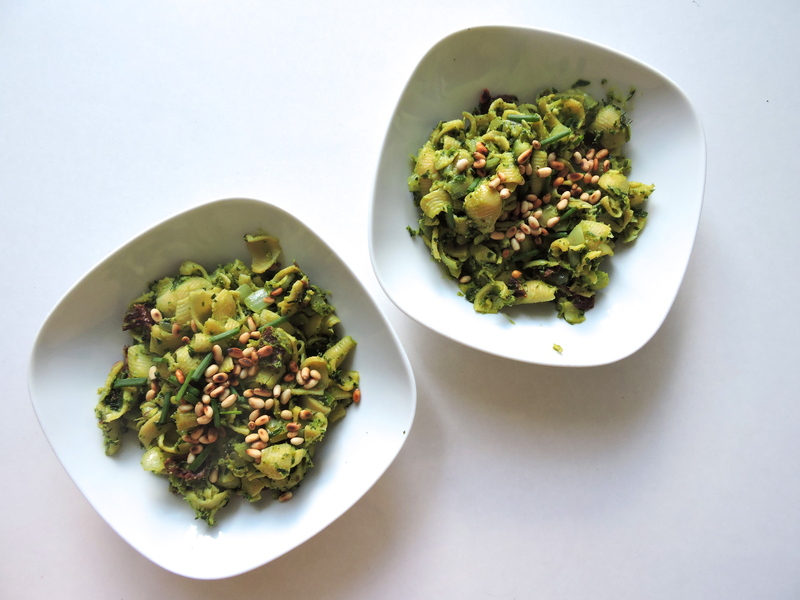 Tastes great when topped with roasted pine nuts and some spring onion. This is a lovely indulgent family meal, and it’s pretty simple to make as well (which is always a plus in my book). Let me know if you try this out; I would love to know if you love it as much as I do!